O projecto do CMIA de Tomar (Casa dos Cubos) foi premiado no 20+10+X World Architecture Community Awards 8th Cycle, na selecção dos Membros Honorários. O prémio é organizado pela World Architects Community e decorreu online desde Julho 2010. The project for the EMIO in Tomar, Portugal was selected as one of the winners in the 20+10+X World Architecture Community Awards 8th Cycle, selected by the Honorary Members. 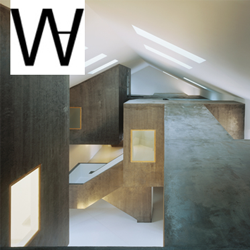 The Award is promoted by World Architects Community website and took place online since July 2010.